It is no secret that I am in love with the mountains. If you take a look through some of my vacation photos on Instagram, you'll see that we visit them quite a bit -- though probably not as much as people that live closer than we do. Regardless, after my first camping trip to the mountains in high school, I developed a certain affinity for the mountains, and look forward to any subsequent vacations in that direction of the country. 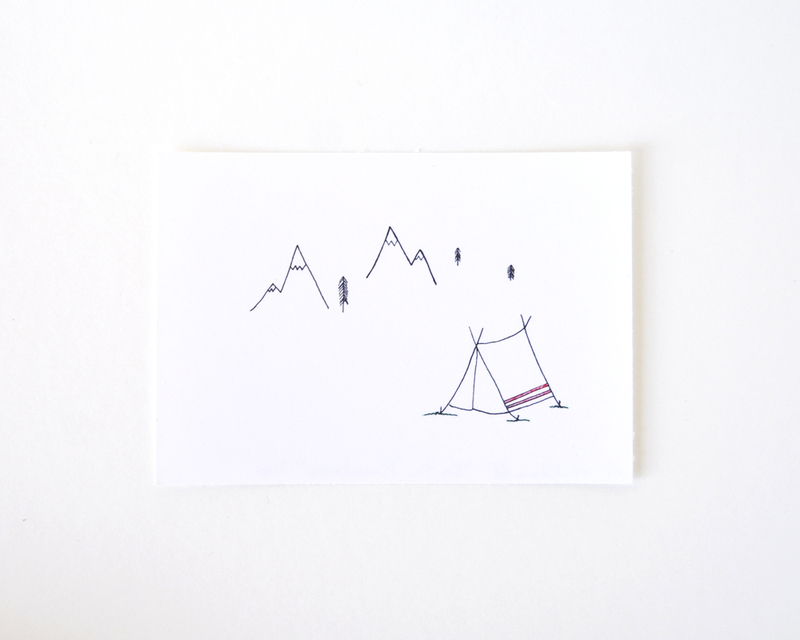 This art print comes from my love of the mountains -- which I know I share with many other people around the world -- and waking up to the splendor and calm that arises from emerging from your tent in the morning and being in their presence.